Despite the album title, this is not one of the many retro exercises in NES-style chiptunes. Instead, composer poisoncut’s work here makes full use of contemporary sounds and production techniques. At the same time, he subtly alludes to the music of the games that inspired 8-Bit Rally – the Lotus and Top Gear franchises. In a way, poisoncut is in a fortunate situation. The Lotus and Top Gear soundtracks never really developed an unmistakable signature sound, despite some recurring stylistic features. This means that poisoncut doesn’t need to mimic particular musical gestures. Instead he is free to work within his own style of melodic, high-octane electronic music. And in the end, that is enough to maintain consistency with 8-Bit Rally’s musical inspirations. 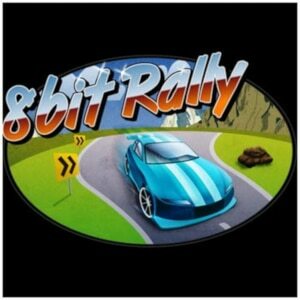 The 8-Bit Rally soundtrack differs most obviously from the Lotus and Top Gear scores in its melody-driven nature. One listen to opening track “Renegade Racer” confirms that poisoncut is much readier than Barry Leitch and Patrick Phelan to hit listeners hard and fast with catchy melodies. Combine this tendency with heavier beats and 8-Bit Rally’s music is deliciously in-your-face and fuss-free. poisoncut’s melodic chops are evident throughout the album, as he serves up both memorable hooks and more long-winded melodies. The latter are also introduced on “Renegade Racer”, as a measured synth melody powerfully unfolds on top of pumping beats. It’s a perfectly judged combination of contrasts. Insistent, beefy beats deliver the necessary speed rush, while the determined melodies tell players that they are still in control of the frantic racing action around them, ready to capture first place. One of the most exciting experiences for music collectors is to come across a work that defies expectations and delivers something much more involving and satisfying than expected. 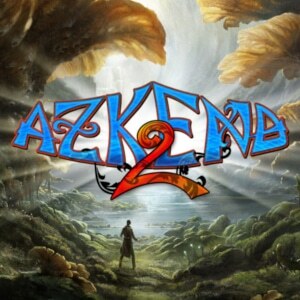 Jonathan Geer’s Azkend 2: The World Beneath soundtrack is exactly that sort of album. It’s music for yet another match-3 game – a genre whose popularity soared with the advent of mobile gaming. This is not necessarily the kind of game one expects to deliver a full-bodied, lush (synth)orchestral score. However, that’s precisely what Azkend 2 achieves. In an interview, Geer stated that “this kind of big, lush, adventurous soundtrack is really right up my alley and probably my strongest genre as a composer. My goal was to just write something very romantic and big.” You only need to listen to opening track “Azkend 2 Theme” to realise that Geer achieved his aims. If you walked into this soundtrack not knowing what kind of game it was written for, chances are that you’d never guess this was music created for a puzzler. Instead, this is the kind of mature orchestral score that you’d expect to hear in a big-budget RPG. 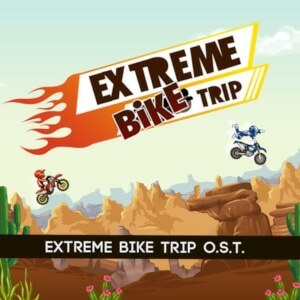 Extreme Bike Trip – both game and soundtrack – are a product of the era of digital technologies. Both are short, sharp blasts of fun that precisely know their purpose. 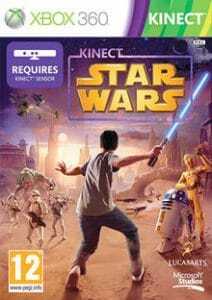 Before the dawn of digital distribution channels, it’s unlikely they would have seen the light of day as standalone releases. They also never pretend to be more than what they are – but within their limited scope of ambition, they achieve everything they’re aiming for. As a game, Extreme Bike Trip is based on an exceedingly simple mechanic. Race with your bike from left to right, tilt your bike forwards and backwards to not lose balance, and pick up gas canisters to make it as far into the race course as possible. Review site 148Apps nicely summed the game up as “simply a fun way to spend a few minutes”. How to stand out from the deluge of retro-inspired indie games that have flooded mobile devices and other platforms? Game developer The Rotting Cartridge went with an intriguing, if cheeky idea. Just pretend that your new game is a port of a forgotten Game Boy title released in 1992. 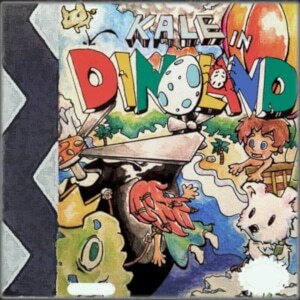 Of course, Kale in Dinoland was no lost classic from the olden days of gaming. Instead, it was simply a new 2D platformer, clad in those monochrome graphics that millions of gamers will fondly remember. Part of that nostalgia-inducing design was of course an appropriately vintage-sounding score, created by Luming Hao. A friend of the game’s developers, Hao wrote the score on popular tracker software LSDj. At the time of writing the Kale in Dinoland soundtrack, Hao studied Computer Science and Music Composition at Lehigh University. That combination of technical and artistic skills would seem to make him a great candidate to pen a chiptunes score. As much fun as it can be to analyse a piece of music, drill down into what things make it work or not, explore its sources of inspiration and so forth, there’s also the simple joy of getting caught up in a song that is just so irresistibly fun that all critical thinking takes a backseat for a moment. 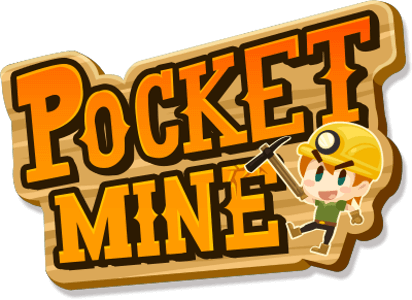 Big Giant Circle’s Pocket Mine soundtrack delivers precisely that sort of feeling with the aptly titled “That Diamond Smile”. The track also perfectly demonstrates how this soundtrack manages to draw upon the strengths derived from its 8-bit influences and enhances them by mixing in contemporary elements. All that “That Diamond Smile” requires for success is the catchy little chiptunes ditty that opens the track. In what feels like the blink of an eye, things escalate, harmonies start building up, the tempo increases and what we then hear is a much broader, full-bodied rendition of the initial tune on soaring chiptunes synths. Suddenly, it’s one of the most memorable, joyful melodies ever written for a retro video game. Throughout the cue, the melody pushes higher and higher, until it returns for one final, fantastically joyful appearance. The insidiously catchy tune is a testament to Big Giant Circles’ (aka Jimmy Hinson) stature as a master tune smith.